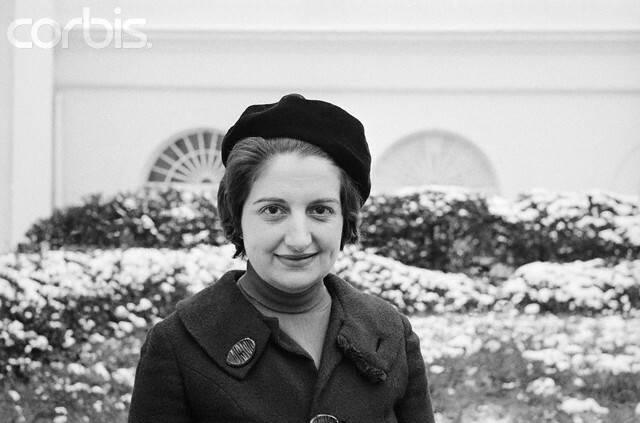 1962 March 1, Washington, DC, — Helen Thomas, UPI reporter in Washington, DC. I caught the beginning of The Special Relationship on HBO last night. It purports to document the relationship between Bill Clinton and Tony Blair in the 1990s (and the US and the UK in general). It stars Michael Sheen as Blair and Dennis Quaid as a passable Clinton. Blair is the protagonist, more or less, so the story focuses on him, often contrasting the pomp and luxury of the White House with the simplicity of Blair’s life, especially before he became PM. I was very disappointed in the White House scenes. This is the first film I know of that has used the WHM as a resource—I was contacted during pre-production and exchanged several e-mails—but the interiors are not convincing. From what I saw of the first 30 minutes or so, there was a good North Portico, a passable Entrance Hall, and a good Oval Office. But the more private rooms were nothing like the real thing and often rather silly. The film depicts Clinton inviting Blair into a large, sofa-strewn sitting room just off the Oval Office in the space we know to be occupied by a little corridor, lavatory, a tiny study, and a private dining room. The Master Bedroom is depicted with a nod to the Reagans’ Chinese wallpaper, but not much else. I imagine that the movie did not have a large budget and so they spent their pennies on the UK sets that were more central to the action and on the Oval Office. By contrast, I happened to catch the end of Thirteen Days on TV earlier in the weekend and found its reproduction of the White House as faithful as one could hope, as Pete Sharkey’s write-up attested. I’ve changed the front page to a new one: the Music Room that Hilary created for Bill in the late ’90s. It’s the room the Truman plans refer to as the “Play Room” and which was used as a bedroom by Jack Ford.